Weekly one-hour dance-inspired movement and toning class where music is Queen. A unique blend of warm up, high intensity cardio, sculpting and cool down will blend all the elements of the funnest dance classes without any dance experience necessary! 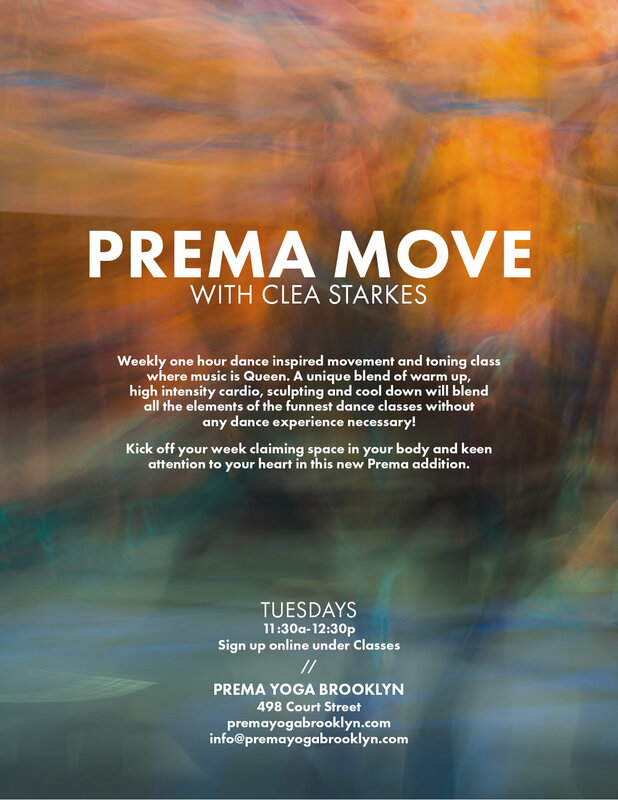 Kick off your week claiming space in your body and keen attention to your heart in this new Prema addition.